I read this book by accident. 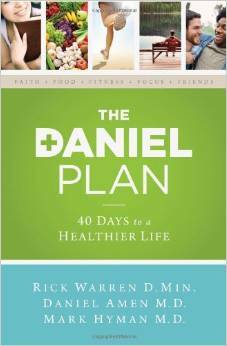 My doctor said I had to lose weight, so I tried to get hold of The Daniel Plan: 40 Days to a Healthier Life (2013) by Rick Warren, Daniel Amen, and Mark Hyman because then I could ridicule it on the grounds that diets are unhealthy and, in this case, probably heretical. Warren’s book is a best-selling diet book that uses Christian principles like “good carbs,” and scented candles to help you lose weight, get fit, and reduce stress in your life. The recipes in the cookbook companion to The Daniel Plan are standard healthy meals and desserts that you can find in any women’s magazine. I could very happily have taken up Warren’s “plan” without making any really substantial changes to my lifestyle. Fortunately, I accidentally picked up Feola’s book instead, and it brought me back to fasting as a spiritual discipline and stop letting my stomach become my god (Philippians 3:19). 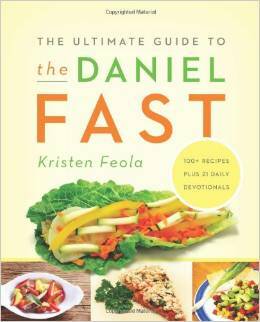 Kristen Feola’s The Ultimate Guide to the Daniel Fast (2010) is different. It is so different, in fact, that I decided to try it. To begin with, it’s not a diet, and it doesn’t promise a prosperity gospel. Warren et al. write that “God offers you his power to make healthy choices.” By contrast, Feola tells us that “when you fast, you restrict your food intake as a form of self-denial and worship, setting aside your basic physical desires for spiritual ones. 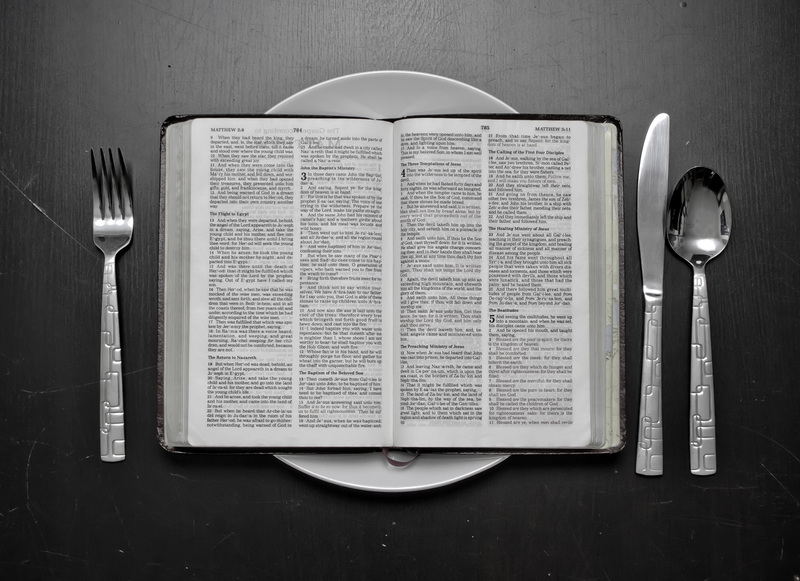 You pull away from life’s distractions and focus on your Savior so that you can be strengthened, refreshed, and renewed.” This is not the most profound treatise on fasting I have ever read and Feola isn’t a theologian. But she clearly loves God and uses this cookbook to make fasting easier for people who are not used to it. “Without some kind of structure, you will more than likely struggle with frustration and discouragement,” Feola notes, and her book is full of anecdotes about people who failed to complete the fast because they treated it like a diet program or didn’t let it transform their prayer lives. “If you become consumed with food and fail to seek the Lord,” she writes, “then all you’re doing is a twenty-one day diet.” Not knowing how to cook well with only vegetables was another major challenge for me, and Feola’s recipes make it possible to do what would otherwise have been a very difficult fast. The inspiration behind this fast is Daniel’s request to the king’s official to “give us nothing but vegetables to eat and water to drink” (Dan 1:12). Daniel and his friends kept to this diet for ten days and afterwards “they looked healthier and better nourished than any of the young men who ate the royal food” (Dan 1:15). Many years later, Daniel says, “I mourned for three weeks. I ate no choice food; no meat or wine touched my lips; and I used no lotions at all until the three weeks were over” (Dan 10:2-3). As Feola presents it, the Daniel Fast means no meat, dairy, eggs, or other animal products, no sugar or anything sweet (including honey), no leavened bread or other baked goods, nothing refined or processed, nothing deep-fried, no solid fats, and nothing to drink except water. This sounds rigorous by the standards of twenty-first century Protestantism, but it’s what normal fasting has looked like for centuries. Whereas many people “fast” from Facebook or abstain from coffee, Feola argues that fasting needs to be about food. She writes, “the physical side effects and cravings that you endure while fasting serve as constant reminders that you desperately need the Lord every minute of every day. You understand the dependence in a greater way when food restrictions are involved, because the struggle is both spiritual and physical.” Maintaining the fast over a long period – like three weeks – also helps because it brings prayer into your everyday life every day, not just for an intense 24 hours you decide to go without eating. The Ultimate Guide to the Daniel Fast includes 21 short devotions to help you focus during the fast. The ideas in them are great. She explores repentance, sacrifice, thirsting for God, perseverance, and other important themes that will keep you going while fasting. In particular, fasting is a time when you are likely to come under spiritual attack, so her focus on resisting the devil is very helpful. But Feola’s style of writing is too conversational for my taste and I kept wanting more. She also bases each devotion around a specific Bible passage but doesn’t tell you what that passage is, which is something that her editor should have picked up straight away. Zondervan has done a poor job on this book in general, with cheap binding and less-than-professional photographs of the food. Having said that, devotional readings do have a lot to do with personal preferences, and I suspect that what left me dry might inspire someone else. The best part of this book is the recipes. Lots of people have tried to make money out of the Daniel Fast, with recipe books from Susan Gregory, Marissa Pavone, Elleni Paulson, and Bernice Bach, to name just a few. I haven’t tried any of them. But I have eaten Kristen Feoni’s food, and I like it. She makes grilled vegetable kebabs, a roasted potato salad with brussel spouts, a delicious Tuscan soup, and wraps made from lettuce leaves. There are roughly 100 recipes in this book, which is just the right amount; Feola gives you the variety you need without overwhelming you with choice. And I have never been disappointed with any of her suggestions. At first I was horrified that she was using so many expensive ingredients and things that have to be transported long distances because they are out of season. In America, only the rich eat fresh food. I figured that it was “the Daniel fast” because Daniel was a wealthy man who had servants to cook for him. But I soon remembered that my usual diet isn’t very sustainable either, and these meals didn’t make a significant hole in my wallet because I was no longer wasting money on meat, sweets, and processed foods. This book won me over despite myself, and I am grateful to Kristen Feola for guiding me gently back to a truly valuable spiritual discipline. I would like to thank BookLook Bloggers for providing me with a review copy of The Ultimate Guide to the Daniel Fast. The book(s) sound a lot like an explanation of the principles behind the tradition of vegan fasting in Romania. 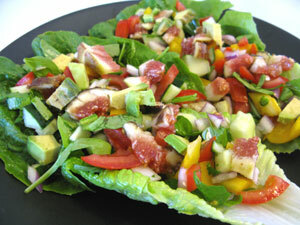 It’s so much easier here anyway because of the abundance of great tasting fruit and vegetables.What do you think? It also reminds me of the Catholic principles regarding food that I picked up at secondary school, which when I look back, are not dissimilar in their purpose, i.e. physical cleansing is strongly connected to spiritual strengthening because of the discipline learned. I guess a major factor is that new discipline becomes an enjoyable part of your life once you realise how good you can feel. Yeah, until I did this fast I never appreciated why fasting has such strong cultural significance. I’d always seen it as being about not eating, but in Romania there is a whole culinary tradition surrounding it because you need different recipes if you’re going to stay vegan for 40 days. The problem with the Lenten fast is that it happens at the end of winter, so there isn’t much fresh fruit on the market. It’s different in the US where everything is fresh year round. But the spiritual and lifestyle benefits are the same across traditions. It’s interesting to know that Catholic schools in the UK are teaching the same stuff as Protestants in the middle of the US and Orthodox in Transylvania.